That is not to argue the all skilled migrants are wanted or needed – just that there are good reasons to keep the flow higher than many would assume in hard times. …there is a lot more to the migration-jobs nexus than meets the eye. I would accept Burgess’ arguments if these so-called “skilled migrants” were locating primarily in regional areas, some of which are crying-out for doctors, nurses, and the like. However, we all know that this is not the case, and that most migrants are settling in Australia’s major capitals. Moreover, many of the visas that have been granted over the past five years – such as for cooks, chefs and hairdressers – are not exactly roles that will improve the nation’s competitiveness. They are also roles that could easily be filled by locals subject to adequate training. And to add insult to injury, some of the visas granted are for occupations that are experiencing significant oversupply, such as accounting. There was arguably a strong case for skilled migration when Australia was in the full throws of the mining boom. 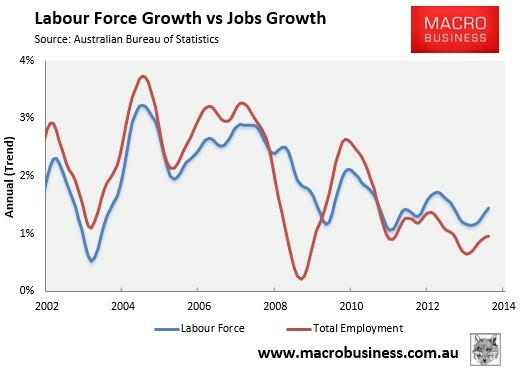 Up until the GFC, total employment grew faster than the labour force, suggesting genuine labour shortages. 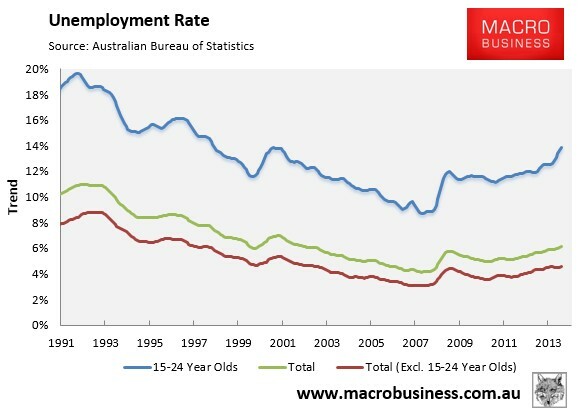 However, since the GFC, total employment has grown much slower than the labour force, which is indicative of a slack labour market and is why the unemployment rate has been rising (see next chart). It is also why the Department of Employment believes that the number of occupations suffering skills shortages is at an “historic low”, with employees reporting that “there were generally large fields of applicants vying for skilled jobs and employers filled a high proportion of their vacancies” in 2013-14. More broadly, Burgess has taken no account of the impacts on Australian living standards from our high immigration policy. A big negative of Australia’s high rate of population growth is that it is placing increasing pressure on the pre-existing (already strained) stock of infrastructure and housing, which reduces productivity and living standards unless costly new investments are made. 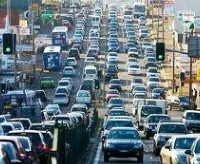 Further, controversial and expensive investments like desalination plants and road tunnels (e.g. the East-West Link) would arguably not have been required absent such strong population growth. All of which raises the question: what is the end-game of Australia’s migration-based economic model? If all we are doing is growing for growth’s sake, pushing against infrastructure bottlenecks, diluting our fixed endowment of minerals resources, and failing to raise the living standards of the existing population, where does it lead? High immigration and population growth is fine if it is part of a grand plan. Otherwise, it is not a genuine economic driver, but rather a way of creating the illusion of growth; of sliding backwards without anyone really noticing.